Hey everyone! In today’s post, I want to talk about Reverie. Before I begin, I want to let you all know that this post may contain possible spoilers. If you don’t want to be spoiled, I suggest you stop reading the post here. However, if spoilers do not bother you, then let’s continue. 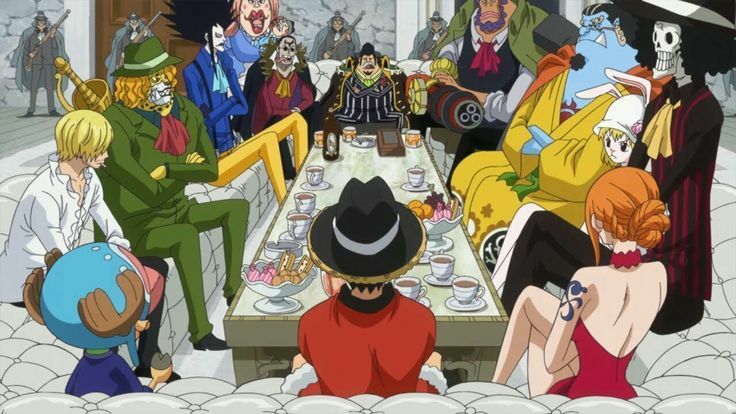 Whole Cake Island was the latest arc that was going on in One Piece. However, with the latest developments, the arc has finally ended at chapter 902. From chapter 903, we’ll get to see a completely new arc begin, and that is what excites a lot of fans. It is either going to be Wano Country arc, or the Reverie Arc. However, I believe that we’ll get to see the Reverie Arc first. If that really is the case, the official release date of the Reverie Arc would be 30th April 2018, and the arc would begin from Chapter 903. So let’s talk about the new Reverie Arc now.